Greg Whittaker, owner of Alki Kayak Tours, usually takes people on boat tours around scenic Elliott Bay. 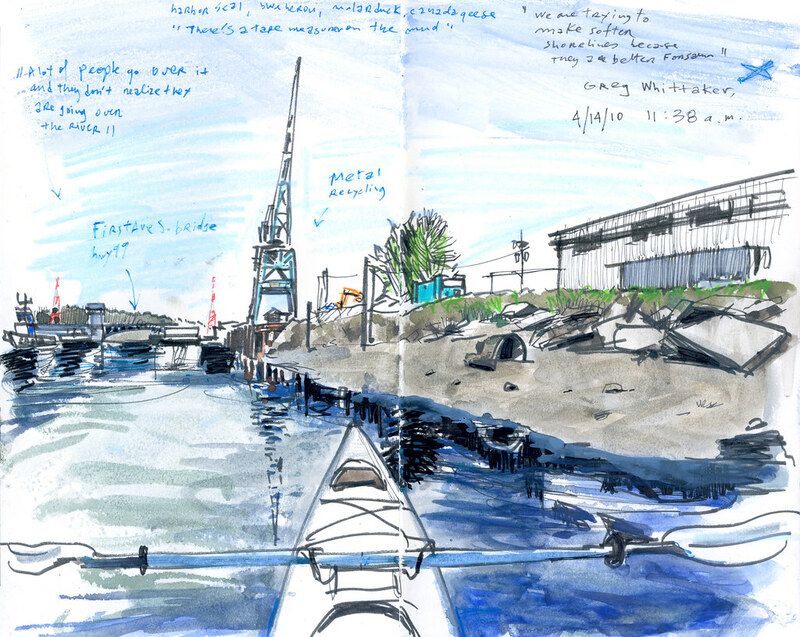 But Saturday he will be using his kayak to pick up garbage along the Duwamish River, once a meandering stream that is now flanked by recycling sites and shipping containers. “Last year we picked up two computer monitors, a shopping cart and 400 rounds of ammunition,” said Whittaker, one of hundreds of volunteers taking part in Earth Day-Duwamish Alive!, a biannual cleanup effort to help restore the river’s habitat. During a paddle with Whittaker this week I came close to some of the junk that ends up here: a traffic cone, a tape measure and a flashlight. But I also saw a harbor seal, a blue heron and countless ducks and seagulls, refreshing signs of nature among the industrial landscape. In addition to garbage removal, volunteers participating in Saturday’s cleanup at 12 different sites will be removing weeds and planting native species that will provide shelter for spawning salmon, explained Dhira Brown, a restoration ecologist with People for Puget Sound. She said it’s going to be a little muddy but everyone is welcome to come out and help. List of clean up sites.